Richard D. Roberts QUEST Integrated, Inc.
One of the major concerns in the operation and maintenance of a primary reformer is being able to monitor and predict the behavior of the reformer tubes. Significant advances here can lead to improved reformer operation, reducing creep damage, a better balanced furnace and better planning of tube replacement, eliminating unnecessary / unplanned outages. Over the past five years, QUEST Integrated has enhanced its existing Laser Profilometry technology in order to provide a laser-based inspection tool capable of detecting and precisely quantifying creep damage in reformer catalyst tubes from day one of operation through to failure. Laser Profilometry is able to gather millions of internal radii data points in a single reformer tube and present this data in a variety of formats that provide a valuable insight into furnace operation and creates a powerful decision making tool for plant operators. Laser Profilometry is a non-contact, non-destructive inspection technique which utilizes a low-powered laser to profile the surface of an object. In this particular case it is being used to profile the internal diameter (ID) of reformer tubes. The Laser Optic Tube Inspection System (LOTIS) was developed by QUEST for the U.S. Navy in 1985 for the inspection of the I.D. of lube oil cooler, condenser and chiller tubes. Since then, Laser Profilometry has been utilized in numerous process plants around the world to inspect a variety of units such as, boilers, exchangers and reformers. Technological advances in Laser Profilometry hardware and customized data analysis software over the past five years have positioned LOTIS as a resourceful tool and industry accepted practice for reformer tube inspection. There are several inspection methods used to inspect reformer tubes for creep strain, among them: Ultrasonics, Eddy Current, and Laser Profilometry. Each technology has its advantages and disadvantages and as such each may be more suitable for certain applications than others. Unfortunately, there is little documentation available to compare the test results gathered from each of these techniques. 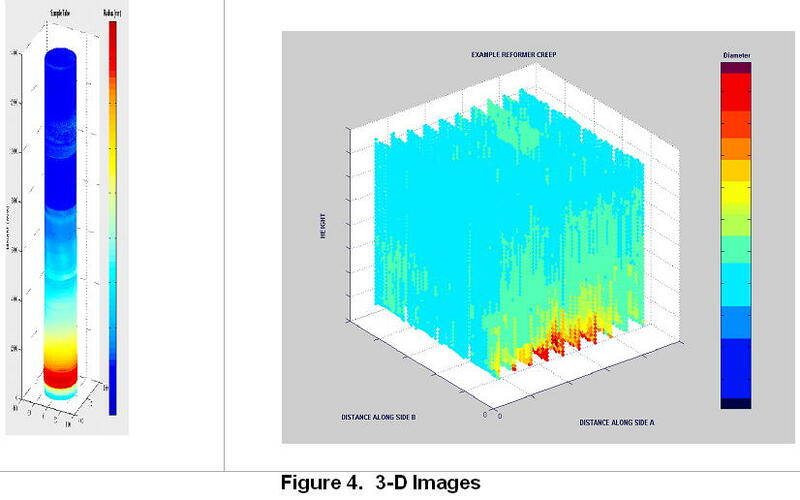 However, a recent study performed by one of the world's largest petrochemical manufacturers was able to compare the different inspection techniques based upon historical data and field inspection comparison. This study determined that Laser Profilometry was the only technique capable of identifying creep strain in its earliest stages. See Appendix A for a comparison chart. 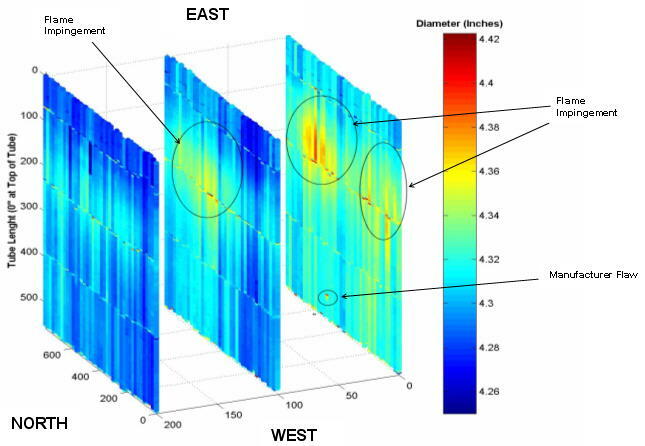 Due to the fact that Laser Profilometry was the only technique which measured creep strain as a direct result of diametrical expansion (with accuracies of ± 0.005%)of the tube's ID, we were able to identify and quantify creep damage well before isolated and oriented voids began to appear. Other techniques were only able to identify creep damage after it had reached the point of micro cracking and macro cracking. Many plant operators consider these last two stages as the retirement point of a reformer tube. Figure 1 summarizes the findings of this evaluation. The compact LOTIS system is comprised of only a few components: laser probe, probe pusher, interface unit, and a data gathering station. A LOTIS Laser Probe contains a rotating head, which spins at 1,800 rpm and acquires 360 readings per revolution along the internal surface of a tube and has a helical path as small as 0.01 inches. A range of probe sizes can accommodate different tube I.D. 's, ranging from the smallest I.D. of 0.43 inches to the largest, 6.0 inches. Many of our laser probes are articulated and can negotiate bends of up to a six-inch bend radius; these are primarily used to inspect boiler and exchanger tubes. 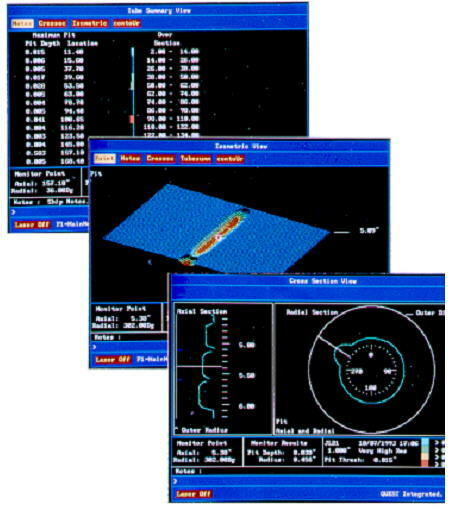 A single laser tube scan contains millions of data readings. This large amount of data can be presented in a variety of ways to graphically and numerically exploit the technique's full potential. The three main graphical display methods are described below. 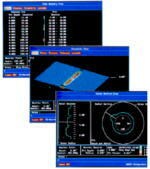 Figure 2 shows sample images of the different views. This table displays the maximum pit depth over a section of tubing according to the threshold determined by the user. 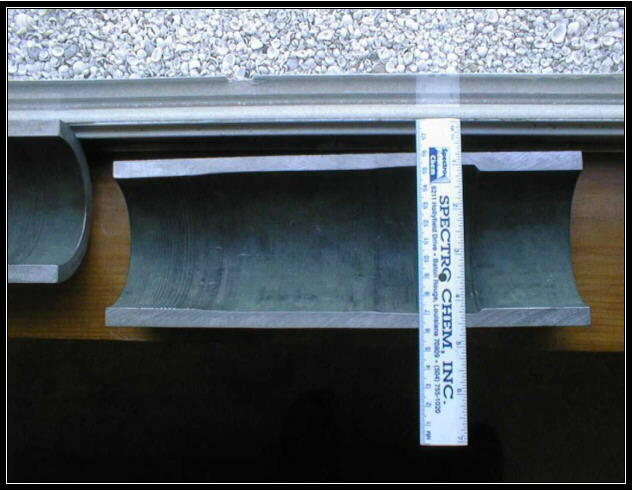 This view shows a cross-section of tube as if it were sliced lengthwise and laid flat. Users can position the cursor at any area of the graph and precisely measure flaws. Provides a simple and easy to read view of a section of the tube in a radial and axial graph. Similar to the 3D Isometric view but is only displayed in a two-dimensional fashion to allow for faster damage identification. Larger laser probes to accommodate three to five inch tubes have been developed over the past four years and have been used in the ammonia, methanol and hydrogen industries to inspect reformer tubes. Figure 3 shows a graphic of the LOTIS system in action. The rotating laser probe is inserted through the tube's top flange after having removed the tube cap and emptied out the catalyst. Access to the I.D. of the tubes is necessary in order to insert the probe; thus tubes can only be inspected once the catalyst has been removed. LOTIS is capable of inspecting one hundred percent (100%) of the tube's interior surface and can gather more than two million data readings on a 50-foot (15m) long tube. The laser probe is attached to an umbilical cable, which pulls the probe from the bottom of the reformer tube as it scans at a maximum extraction speed of up to three inches per second. Encoder wheels in the pusher ensure that accurate axial positioning along the tube's length is recorded for future reference during data analysis and damage verification. The most significant advances in Laser Profilometry applied to reformer tube inspection over the last few years have been in software improvements. Customized 3-dimensional modeling of tubes allows plant operators to view each individual tube as well as the reformer as a whole in a virtual color 3-D format. Areas of the tube where I.D. expansion or creep damage is evident can be quickly identified and classified according to their percentage of expansion. These percentage figures can also be represented in quantitative figures using other graphical options. Each of the color images can be rotated 360° in every direction in order to allow complete visualization of the tube and the entire reformer tube network (see Figure 4). This ability helps identify areas where bulging or flame impingement may be present. 3-D modeling of the reformer as a whole provides plant operators with key elements for decision-making regarding the operation of the reformer furnace. Quantitative line graphs can also be plotted in a linear format providing average internal diameter reading along the entire length of the tube. Laser Profilometry offers unsurpassed accuracy and resolution levels that are unattainable with traditional NDT methods. LOTIS can gather information with an accuracy of 0.002 inches (0.05mm). The LOTIS data and its user-friendly data interpretation is a fully quantitative inspection system. It is not a qualitative system and therefore minimizes interpretation errors. There are three main types of Reformer Tube inspection that offer valuable benefits to reformer furnace management: Base-Line Exams, In-Service Exams, and Salvage Exams. To reveal any manufacturing flaws that may be present in the I.D. surface of the tube such as, over boring (Figure 5) and excessive root penetration. Over boring of tubes can result in reduced tube life expectancy; an over bore of 0.030" from the tube specification can result in a decreased tube life of nine to fourteen months. Any defects such as excessive root penetration and internal step changes in boring present in the tube I.D. can act as stress risers (Figure 6) and lead to premature tube failures. Identification of these flaws at the tube mills can enable these defects to be corrected before delivery of the tube to site. To obtain precise and accurate nominal internal diameter readings of all the new reformer tubes before they are exposed to operating conditions. This information can then be utilized to monitor the effect of creep strain and the results compared to those of subsequent exams. Fig 8: Evidence of Flame Impingement. As LOTIS is able to identify creep in its very early stages, the results of the in-service exam can be used to balance the furnace to prevent potential future problems. Inspection data from different inspection dates can be correlated in order to provide a better understanding of the furnace operation. If a base line examination has been performed the results from subsequent in-service inspections can be interpreted to a greater degree as the condition of the tubes before service is known. These exams are the final step in obtaining important inspection data that serves as historical quantification of the condition of reformer tubes at the end of their life cycle. This information is key to a better understanding of reformer furnace operations and ultimately helps improve the performance of the new replacement tubes and the unit as a whole. This type of inspection enables the reformer operator to identify tubes that could still be left in place for several cycles, or in the case of a complete re-tube, tubes that could be removed and kept in storage as spare tubes in case of unplanned emergencies. As with any technology, Laser Profilometry also has a few limitations; the most obvious of these being that the laser is not capable of inspecting the surface of the outer diameter of the tube. In the case of reformer tubes this is not an issue as creep damage is best identified from the I.D. surface by means of dimensional changes. The frequency of reformer tube inspection with Laser Profilometry is also limited to the frequency of catalyst change-outs since access to the inside of the tubes is required in order to insert the probe. Capable of providing 3-Dimensional (3D) modeling of entire reformer tube network to assist in identification of Burner or Tunnel problems	 YES, QUEST's custom reformer software allows 3D modeling of reformer tubes to assist in overall maintenance. NO, All that is provided is tube retirement results. No problems with burners or tunnel regions are identified. NO, All that is provided is tube retirement results. No problems with burners or tunnel regions are identified. Can detect "early" stages of creep expansion before internal cracking (fissuring) occurs	 YES, Capable of detecting expansion down to 0.1% growth. This % of creep strain happens well before fissuring occurs. NO, Fissuring must be occurring before ET will detect any change. Generally, this is at 1% - 2% growth. NO, Fissuring must be occurring before UT will detect any change. Generally, this is at 1% - 2% growth. Inspection is effected by external rough As Cast surface	 NO, All results are based off the tube's interior machined surface. The quality of data is not effected by the rough exterior surface. YES, The external surface caused noise to be induced into the data creating a larger margin of error in the test results. YES, The external surface caused noise to be induced into the data creating a larger margin of error in the test results. Inspection covers 100% of the tube's Axial length	 YES, 100% of tube is examined from Upper Flange to bottom Reducer or Flange at 0.100" intervals. NO, Limited to only the region of the tube that is exposed in the fire box. Tube in the lower coffin area will also be skipped. NO, limited to only the region of the tube that is exposed in the fire box. Tube in the lower coffin area will also be skipped. Inspection covers 100% of the tube's Circumferential surface	 YES, 360 samples are taken circumferentially at 0.100" intervals down the tube. NO, Only a small portion (~60%) of the tubes circumferential surface is tested. NO, Only a small portion (~60%) of the tubes circumferential surface is tested. Oxide Shedding on the tubes exterior effects Inspection Results NO, All results are based off the tube's interior machined surface. YES, Oxide shedding will be averaged into the overall tube wall loss which will over exaggerate the damage. YES, Oxide shedding will be averaged into the overall tube wall loss, which will over exaggerate the damage. Requires a coupling medium (i.e. water)	 NO NO	 YES, Requires the use of water or gel as a coupling medium on the tubes exterior in order to perform the exam. Water damages floor refractory at the base of the reformer.